5 million cars are now on the road in the UK with digital radio and they are about to be joined by vehicles utilising the next generation of in-car digital radio adaptors, launching this summer. That was the news announced by Digital Radio UK, at an international radio switchover conference in Norway. 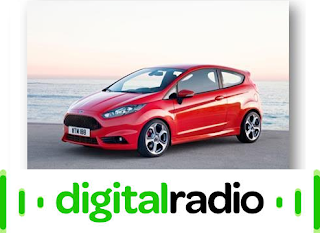 The latest statistic follows the release of recent data from CAP/SMMT for May 2015 which shows that the UK new car market continues to grow (+5.7% ytd 2015) and that 2.5million cars have been sold in the last year with the majority (60%) having digital radio fitted as standard. Digital Radio UK says car conversion has been limited to date by the relatively high price of in car adaptors available in car dealers and aftermarket retailers which have typically ranged from £150 - £350. Research conducted by the AA has indicated that drivers are resistant to paying over £100 to convert their cars to receive digital radio. Now, Digital Radio UK, together with Connects2 have announced the launch of the first of a new generation of affordable car adaptors - the AutoDAB Smart which will retail from £75. The AutoDAB Smart connects to your smartphone to give you digital radio in your car. It enables you to listen to digital radio through your existing car speakers and is controlled via an AutoDAB Smart app on your mobile phone which shows station logos, song and artist information and saves favourites. It will be sold in Halfords and aftermarket retailers starting from July 2015.